You’ve been putting in for years to get that tag. It’s a tough hunt but you’ve been conditioning. Don’t let a poor choice in gear reduce your chances of tagging out. Start with with one of the most important pieces of clothing you can get, your base layer. Find out why the Robinson Scent Blocker Shirt won our Editor’s Choice as well as where the 7 other excellent options fall in. The base layer is arguably the most important piece of clothing you can be wearing when going out on a hunt. Everything else: jacket, over-pants, pullover, can all taken off according to conditions. Your base layer however, is in for the long haul so its important to get the best base layer for hunting that you can. Durability: More times than not, cheap clothes don’t last as long. Imagine that! Base layers typically get the most ware and wash cycles out of any other hunting attire so make sure you buy smart, not cheap. While we did buy some expensive base layers, we also found you do not have to spend a pile of cash on the absolute best to get something serviceable. Breathability: A base layer needs to be extremely versatile. Base layers that aren’t breathable are comfortable for about the 2 minutes you stepped out of your tent or truck. As soon as you start moving breathability becomes key even in freezing temperatures. The best base layers can keep you warm when its freezing and still be comfortable when it gets in the 60s. 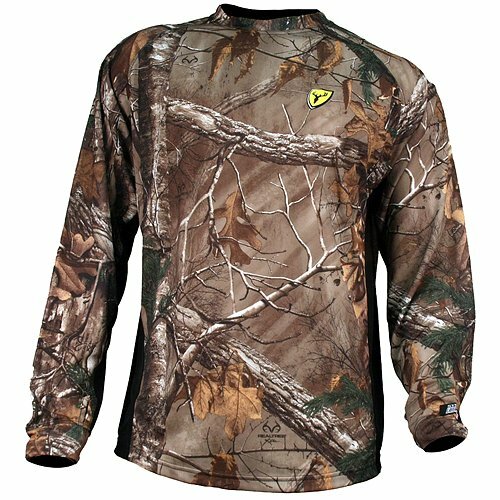 Material: Probably one of the biggest factors in choosing a base layer for hunting is the material. Why does the specific material matter so much for hunting? As soon as you start sweating you start to stink. You may not be able to smell it yet, but that buck that is within shooting distance may have. There are lots of synthetic materials out there that do a great job at adapting to temperatures but for hunting, few can come close to the capabilities of marino wool. Most pieces of gear that are recommended below are made with marino wool. Outside of great insulating and breathability properties, marino wool doesn’t stink once you start sweating. Value: The best base layer you can buy for hunting also happens to be quite expensive. We know most people can’t spend that much on a base layer let alone a nice jacket. Lucky for us, there are several solid choices for base layers that will still keep some green in your wallet. The Robinson Scent Blocker Shirt is what we consider the best base layer for hunting. Earlier you may of read that we believe merino wool is the best base layer material and yet this shirt is polyester based. What gives? Well, when you combine whatever is in that scent blocker magic juice and whatever shirt material you want, you get pretty darn good scent repellent. Most base layers are meant to be worn either directly on the skin or maybe with an undershirt beneath it. The Robinson shirt is breathable enough to allow use as an outer layer when the weather gets hot. Be aware, most base layers are not as durable to branches and thorns like true outerwear would be. All in all, the Robinson Scent Blocker Shirt has shown to have the scent blocking performance and all day comfort required in a base layer to get our Editor’s Choice. Just like the shirt, the Robinson Scent Blocker Pants should be near the top of your list if you are looking for the best base layer for hunting. While the shirt can be worn as an outer layer when the weather gets hot, the matching bottoms are meant to be a true base layer and need outer pants to be worn on top. 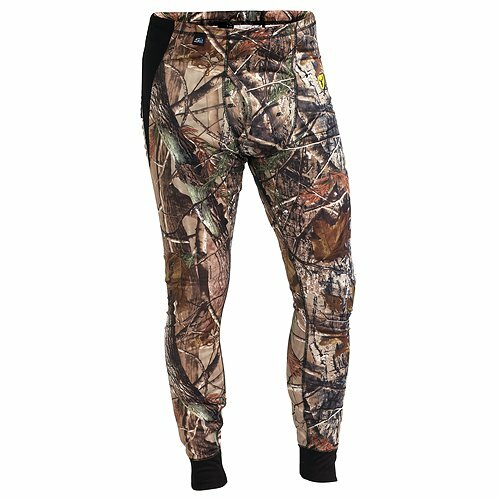 These Robinson bottoms do a great job of insulating when sitting for hours glassing or in the tree stand but breathe well hiking or stalking in. These pants are also treated with the same Scent Blocker formula used on the shirt resulting in excellent scent protection. First Lite is a premium camo company primarily geared towards the active hunter that likes to backpack in. The First Lite Allegheny Bottoms are marino wool based and are absolutely fantastic. As stated earlier, marino wool is one of the if not the absolute best material when it comes to scent blocking. Most synthetic materials do fine until you get sweaty. That sweat then dries and begins to stink. Merino wool manages to not have an odor once that sweat dries thus making it extremely desirable in hunting clothing. Outside of the outstanding fit and finish on these bottoms, the merino wool blend that First Lite is using manages to insulate well when stationary and breathes well when moving. If you have the budget or are an extremely active hunter, the First Lite Allegheny Bottoms will not let you down. 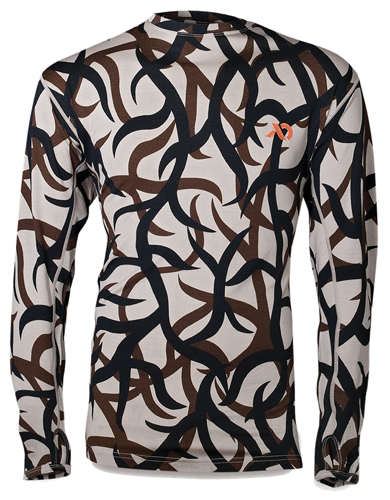 The First Lite Llano Long Sleeve is one of my personal favorite base layers. Here in Arizona scouting in the early season can easily be in the 100’s still making breathable clothing an absolute must. The Llano long sleeve does an excellent job of staying breathable when on the move and an even better job insulating as a base layer on those colder hunts. The cuts in the sleeve for thumb holes is a nice touch making it extremely easy to pull on and off a rain or insulated jacket. The First Lite Llano series would make an excellent addition to your next warm or cool weather hunt. For cold weather hunting, the Meriwool Merino Thermal Bottoms are going to be hard to beat for the price. First thing you’ll probably notice is that these are not camouflage. Since these are true thermals they are obviously meant to have an over-pant on top of them. So why these thermals for your base layer instead of something else? 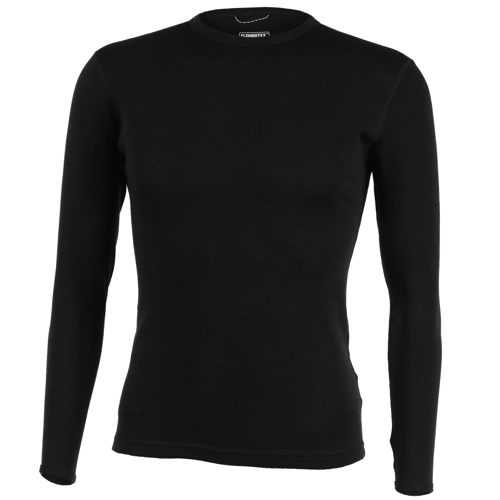 These are one of the few thermals on the market that is made with merino wool and since they are not marketed as a hunting base layer they are significantly cheaper than other options. If a snow hunt is in your future, don’t hesitate to give the Meriwool Merino Thermal Bottoms a try as I doubt you can beat their cold weather performance for the price. Same thing with the top as the bottoms listed above. The Meriwool Merino Wool Top is not marketed as a hunting base layer so there is no premium attached. Typically Merino Wool products demand a premium as they are more expensive to make. The Meriwool Merino Wool Top cements itself as one of the best base layers for hunting in cold conditions because of its superb insulating qualities and it’s lightweight nature. As one of the more affordable options, the EU Compression Bottoms make a fantastic base layer for the active hunter. 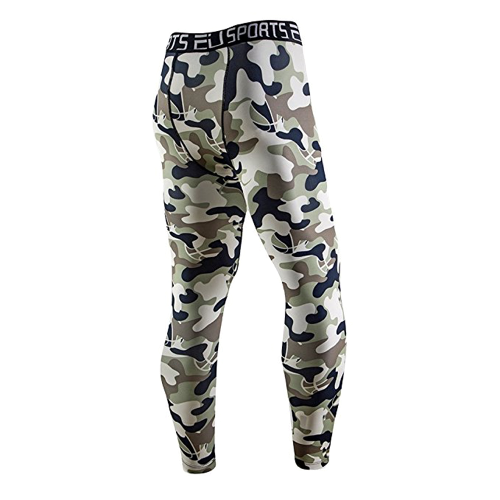 Primarily made from polyester and spandex, these EU bottoms provide superb compression throughout the thigh and calf. As with any clothing made from polyester, these really need some sort of scent killer sprayed on them before a hunt. At less than 20 bucks for a pair its a small price to pay however. If you are a hunter on a budget and need good muscle compression, look no further than the EU Compression Bottoms as it is truly one of the best hunting base layers with compression. Last but not least is the 32 Degrees Thermal Top. 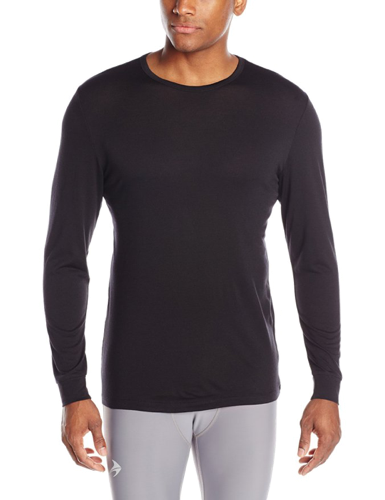 The 32 Degrees Thermal Top is a no frills cold weather thermal base layer. With the no camo options, these are obviously meant to be worn either under a camo shirt for mild weather or under a shirt and jacket in colder weather. I personally have owned one of these since 2014 and it helped me survive a 6 degree coyote calling trip in Utah. If for whatever reason you do not like merino wool, this shirt is a good alternative to the Meriwool top shown above. Either way, as long as you have some scent killer on this base layer it will make a fine base layer for hunting in cold weather.